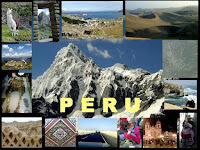 Peru is an up-and-coming TEFL destination for many teachers. If you don't have a background in teaching, getting your TEFL cert will help you. Your TEFL trainers will be able to give you tips about teaching in Peru and your course may also include a bit of basic Spanish to help you get around. Cusco has a more American-European feel that the rest of Peru. You will see many signs in English and lots of the locals speak English as well. Many foreigners head towards Arequipa, Lima, Piura, and Trujillo. A good way to start making connections is through Expat Peru and Living in Peru. In addition to bringing expats and Peruvians together, both of these sites have a classified section where you can search for jobs or place an advert for free. Make sure you have a good CV by reading how to write a teaching CV. Most people get hired within one or two weeks upon arrival. Although some places occasionally hire without meeting people in person, I think it's beneficial if you meet your employers first. You can see what the institute is actually like and get to talk to some of the current teachers. You can also ask about visas. Most institutes won't get you a visa and language institutes will usually classify you as a "volunteer" and will give you a "stipend" for your work. Most TEFL positions in language institutes pay about $500 to $700 a month. If you have qualified teacher status and two years experience you can teach at international schools. You can read more about teaching English in Peru in top institutes in Lima, the ultimate guide to teaching in Peru, best institutes in Peru, FAQ Peru, and the Ultimate Peru List . You can also find lists of schools and institutes in Peru in the LA job list.